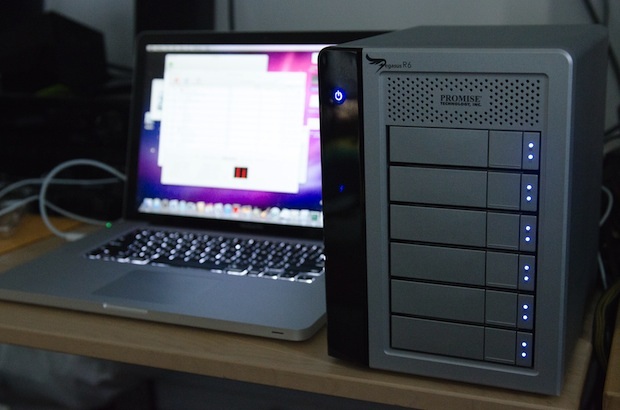 Thunderbolt equipped Macs are able to boot from external Thunderbolt drives. This means that you could run a full Mac OS X, Windows, or Linux installation from an external drive connected to a Mac with Thunderbolt connectivity, and because of Thunderbolts speed, it would be extremely fast. How fast? Theoretically, Mac OS X running on an external Thunderbolt drive should be just as fast as booting from an internal drive, but using an external SSD would actually be faster than an internal spinning hard drive. This also opens the door for further OS X dual booting options, multiple OS booting, and general ultra-fast expansion on hardware that is otherwise limited with internal expansion options. Currently, Thunderbolt comes on the MacBook Pro and iMac, but it is expected to gain further traction with inclusion on upcoming MacBook Air, Mac Mini, and Mac Pro hardware refreshes. Bootability has been confirmed by Anandtech, who verified that external Thunderbolt drives are bootable when researching the massive Pegasus 12TB RAID setup, shown above attached to a MacBook Pro. This was found via MacRumors, they also mention that Thunderbolt supports Target Disk Mode, an option that was otherwise limited to Firewire equipped Macs. Those read and write speeds are as fast if not faster than many internal SSD’s! This is excellent news because I plan to buy the new MacBook Air, then I can keep my simple Mac OS X install on the small internal SSD and use an external disk for Windows 7 and as my Photoshop memory disk to real effect. Real speeds finally make an external disk useful. You can boot into OSX with a USB drive too, but not Windows. Very good to know! I’ve been wanting to get a SSD but the internal drives are SO expensive! I’d imagine external are a bit more reasonable, though I haven’t priced them out yet.